Add Sound Effects to Video? See Here! In some cases, to make your video files seem more high-end and splendid, you ought to add sound effects to video in a professional manner. To realize it, the optimal solution is to make use of Joyoshare Media Cutter. This smart program can do a good job for you by providing editing tools and accessible options. Today, you can utilize it to make yourself clear about how to add sound effects to video. As the name suggests, you will firstly consider Joyoshare Media Cutter as a single-function cutter to deal with your video only. If you think so, you are wrong ultimately. 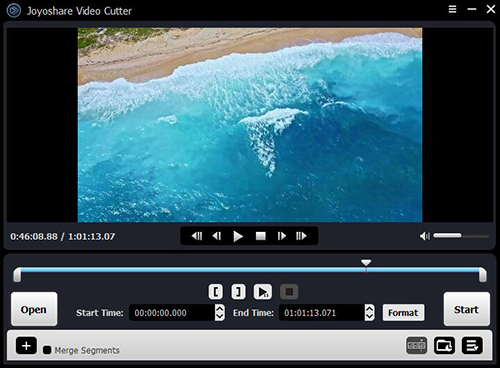 In fact, it can not only help you cut unwanted sections off as a dedicated video cutter, but also let you add special effects to your video as a professional video editor. With this brilliant assistant, you can get an access to add sound effects to video in the way you prefer. 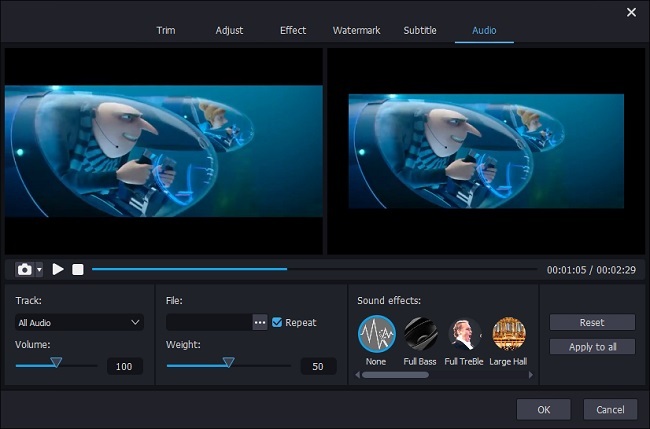 Alternatively, it has ability to trim definite portion, crop certain area, rotate video, adjust aspect ratio, use video effects, change parameters, like brightness, contrast, saturation, etc. customize stylized watermark and insert subtitle and so on. 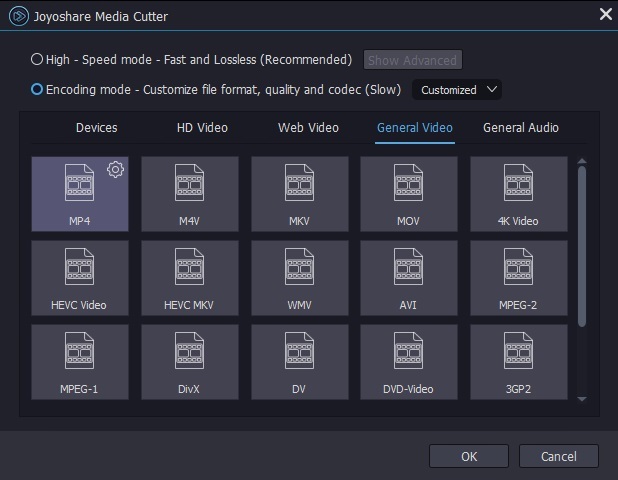 Most of all, Joyoshare Media Cutter can support a wide range of video formats, including MP4, M4V, MKV, MOV, WMV, AVI, 3GP, DV, DivX, ASF, OGV, MPEG, FLV, SWF, TS, TRP, etc. Meanwhile, it also enables you to specify configuration info, such as resolution, bit rate, sample rate, codec, channel, etc. at your own will. Anyway, you can enjoy hassle-free solution to add sound effects to your video losslessly. 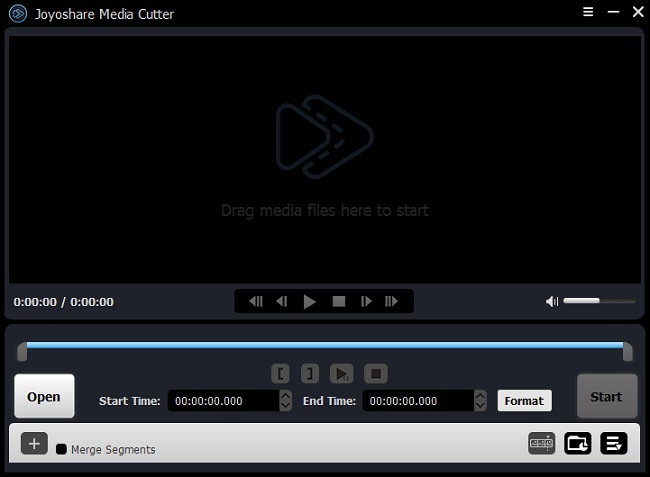 Download and install the latest version of Joyoshare Media Cutter on your own computer in advance. Then drag and drop the video file you need to the main interface directly. Or you can click the "Open" button to browser your local folder and select one to this program. Note: Joyoshare Media Cutter cannot support batch mode for multiple video files currently. You can only edit one video each time. Once your video is loaded completely, Joyoshare Media Cutter will auto-play it for you. Go forward to click "Show segment list" icon at the lower right corner so that all your video cuts will be displayed orderly. Afterwards, hit the edit button to bring up all hidden tools. From the top menu list, you can enter "Audio" section. There are different attractive sound effects provided, including "Full Bass", "Full Treble", "Large Hall", "Pop", "Rock", "Flat", "Sharp", "Man" and "Woman". Choose the one you like and press the "Play" button to pre-listen to it. In addition to add sound effects to a video, you can also edit the audio in other aspects. Just as the interface show, Joyoshare allows you to change the track, adjust volume, add background music from local folder and personalize weight. If you need, you can as well hit the "Apply to all" button to make the same settings added to all existing video clips. Having added sound effects to your video, you can go ahead to close the edit window and hit the "Format" panel to do further operation. Choose your favorite output mode and destination format. You can hit the gear icon on the top corner of the selected format, from which you can customize resolution, codec, bit rate, sample rate and more for your video as well as audio. Now, press the "Start" button to finish the whole process and have a check on your destination folder.